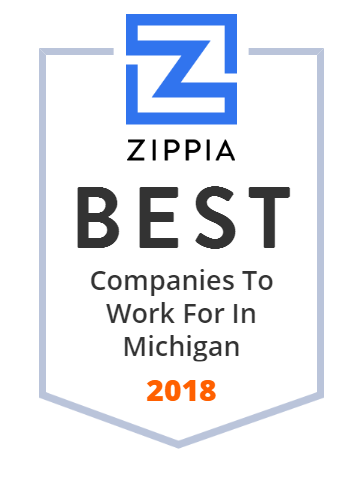 We hand-curated a list of the best companies to work for headquartered in and around Michigan using data on salaries, company financial health, and employee diversity. Ally Financial Inc. is a bank holding company organized in Delaware and headquartered in Detroit, Michigan. The company provides financial services including online banking, car finance, corporate lending, vehicle insurance, mortgages, credit cards, and brokerage firm services. Flagstar Bancorp, Inc. operates as the holding company for Flagstar Bank, a federally chartered stock savings bank. It is the largest publicly traded savings bank in Michigan with assets of over $16 billion in 2016. Flagstar is also a leading mortgage lender and a national leader in the wholesale mortgage business. Quicken Loans Inc., is a mortgage lending company headquartered in the One Campus Martius building in the heart of the financial district of downtown Detroit, Michigan. Credit Acceptance Corporation is an auto finance company providing automobile loans and other related financial products. The company operates this financial program through a national network of dealer-partners, the automobile dealers participating in the programs. The company operates two programs: the "Portfolio Program" and the "Purchase Program". Through these programs, the company can advance money to automobile dealers in exchange for the right to service the underlying consumer loans and can buy the consumer loans from automobile dealers. By the end of 2013, the company made an annual revenue of $175,300,000. Founded in 1992 by CEO/President Marc Gardner, it is headquartered in Troy, Michigan. 0 billion in equity capital raised since inception that is focused on leveraged buyout investments in middle-market companies, primarily in the franchise/multi-unit, restaurant and food, retail healthcare and business services sectors. Chemical Financial Corporation is a bank holding company headquartered in Detroit, Michigan. It operates Chemical Bank, which has 249 branches and is the largest bank headquartered in Michigan. Experience increased revenue and reduced cost with our Billing/RCM/Charge Capture/EHR and Telehealth Soulutions. Grand Rapids Auto Auction is a dealer car auction located in Jenison, MI. Call 616-669-1050 with questions and visit today. United Federal Credit Union (UFCU) is a federally chartered credit union based in St. Joseph, Michigan with a 60-year-plus history. Originally chartered in 1949, UFCU has more than 168,000 Members in all 50 states and the District of Columbia. It ranks in the top 2% of all federal credit unions by asset size, with assets in excess of $2 billion as of 2016. UFCU has 31 branches in six states: Michigan, Ohio, Indiana, Nevada, North Carolina, and Arkansas. United Federal Credit Union offers a diverse array of products and services for businesses and individuals, include checking and savings accounts; mortgage, construction, and lot loans; home equity loans and lines of credit; business accounts, loans, and credit cards; United Diamond Insurance and Allied Solutions Insurance Products. Talmer Bancorp, Inc. operates as the bank holding company for Talmer Bank and Trust that provides commercial banking, retail banking, mortgage banking, wealth management, and trust services to small and medium-sized businesses and individuals primarily in the United States. It accepts checking accounts, commercial accounts, savings accounts, and other time deposits, including daily money market accounts and longer-term certificates of deposit. The company also offers loans to small and medium-sized businesses, residential mortgage loans, commercial real estate loans, residential and commercial construction and development loans, farmland and agricultural production loans, home equity loans, and consumer loans. In addition, it provides online banking and bill payment services, online cash management, safe deposit box rental, and debit and ATM card services. Further, the company is involved in mortgage banking activities comprising acquiring, selling, and servicing one-to-four family residential mortgage loans and construction loans. As of December 31, 2015, it operated 81 branches in Michigan, Ohio, Indiana, Illinois, and Nevada, as well as 5 lending offices located primarily in the Midwest. The company was formerly known as First Michigan Bancorp, Inc. Talmer Bancorp, Inc. was founded in 2003 and is headquartered in Troy, Michigan. As of August 31, 2016, Talmer Bancorp, Inc. operates as a subsidiary of Chemical Financial Corporation. BVA Inc is a specialty oil company that develops and markets oils and lubricants. I.COMM Corporation is a leading Healthcare an Audio/Video Communications Integrator servicing all industries throughout Michigan since 1943. G&T Industries is a solutions company with an incredible aptitude for foam fabrication, contract assembly, global sourcing and order fulfillment. MFP Seals is a manufacturer and distributor of the highest quality sealing devices, gaskets, O-Rings, hydraulic seals, oil seals, wear rings, bearings, spring seals for over 35 years. AMHI.com is Michigan's leading supplier of material handling systems and equipment. Petitpren Inc. is a beer wholesaler located in Clinton Township, MI. Founded in 1933, we work every day to provide the highest quality of products and superior service to our customers. United Shore is one of the fastest-growing companies in the U.S. and home to the #1 wholesale mortgage lender in the nation: UWM. Windows, Doors And Hardware By SAHR. For Over 40 Years, Our Dedicated Team Has Delivered High Quality Windows And Doors And Exceptional Customer Service. M.L.I. Limited was incorporated in 1989 and is based in Farmington Hills, Michigan. Huron Valley Financial provides loan programs that will fit almost anyone's needs in the Ann Arbor, MI area. Stop by today and find out how we can help. CHi designs, manufactures, and delivers functional, inviting, and lasting interior environments. Mid-Michigan Industries -- Providing jobs and training for people with barriers to employment through business and human services. DR Storage Systems, Troy, Michigan, nationwide distributor of Material Handling and Storage Systems for Manufacturing, Warehousing and Distribution. The domain name percentplus.com is for sale. Make an offer or buy it now at a set price. Undeveloped keeps you safe. Leader Dogs for the Blind is a guide dog training school located in Rochester Hills, Michigan. 1 billion as of October 31, 2016. They operate 25 branch locations in Michigan, 2 in Minnesota and 1 in Pennsylvania. Brown Jig Grinding is one of the most well established jig grinding facilities in the midwest with several NASA controlled CNCs. Appraisals & valuations for all types of property & equipment. Anyone who wishes to sell, merge, finance or liquidate any or all parts of your business. Associated Community Services, Inc. provides professional fundraising solutions for nonprofit organizations in the United States. It offers telefundraising services, including training programs and donor retention services; client branding services; and partner services, such as printed pledge materials and fulfillment. The company was founded in 1999 and is headquartered in Southfield, Michigan. Paulstra CRC Corporation provides supplier diversity programs to diversity business enterprises. Its supplier diversity programs seek diverse suppliers through purchasing organizations by participation in various tradeshow activities and utilization of diverse supplier directories. The company was incorporated in 1986 and is based in Grand Rapids, Michigan. It has plants in Grand Rapids and Cadillac, Michigan; and a customer service center in Auburn Hills, Michigan. Paulstra CRC Corporation operates as a subsidiary of Hutchinson Corporation. Lake Michigan Credit Union (LMCU), founded in 1933, is a credit union based in Grand Rapids, Michigan. As of 2011, Lake Michigan Credit Union has 36 locations throughout the state of Michigan. Lake Michigan is currently the largest credit union in the state of Michigan and the largest financial institution based in Western Michigan. As the organization is a federally insured state-chartered credit union, Lake Michigan Credit Union is regulated by the National Credit Union Administration (NCUA). Lake Michigan Credit Union was officially chartered in 1933 and was assigned NCUA charter number 62514. TLC Community Credit Union - personal & business banking services in Adrian, Blissfield, & Tecumseh, MI. Also part of the CO-OP Shared Branch Network. DFCU Financial is a state-chartered credit union headquartered in Dearborn, Michigan, regulated by Michigan's Department of Licensing and Regulatory Affairs (LARA). DFCU Financial is Michigan's second largest credit union behind Lake Michigan Credit Union. As of October 2010, DFCU Financial had approximately $3 billion in assets, 219,000 members, and 24 branches in Metro Detroit, Ann Arbor, Grand Rapids and Lansing. Mackinac Financial Corporation is a Manistique, Michigan-based bank holding company for Michigan bank mBank. Integrated marketing, manufacturing, b2b ecommerce, and supply chain management. Since 1946, we've worked with our customers to drive revenue and to reduce costs. The Dart Bank is a bank headquartered in Mason, Michigan. The bank has 4 branches, all of which are in Ingham County or Eaton County. Rizzo Environmental Services, Inc. provides waste control services to home and business owners in the metro Detroit area. The company also rents roll-off dumpsters, front load containers, and compactors of various sizes for home and commercial use. In addition, it recycles cardboard and paper bags, paperboard magazines and catalogs, junk mails, phone books, newspapers, office papers, steel and tin cans, clear and colored glasses, kitchen cookware, aluminum cans, plastic jugs/bottles, household plastic, and plastic bags. Rizzo Environmental Services, Inc. was formerly known as C&R Maintenance, Inc. and changed its name to Rizzo Environmental Services, Inc. in September 2012. The company was founded in 1965 and is based in Sterling Heights, Michigan. As of September 30, 2016, Rizzo Environmental Services, Inc. operates as a subsidiary of GFL Environmental Inc.